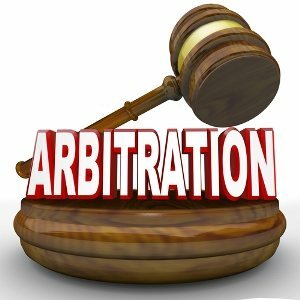 What Is An Insurance Arbitration? So you star an auto insurance claim and think the insurance company automatically grants your request but you could not be more wrong. instead they conduct their own investigation that is called an inspection to determine the cause of the damage and how much of the claim they are obligated to pay under your current insurance policy. In most cases this process is smooth and there are no speed bumps along the way but your insurance company has the right to deny your auto insurance claim under your policy for whatever reason they find. Just keep in mind that it’s not uncommon for your insurance company to try to get out of paying for damages they rightfully have to pay for. In the case they deny or drastically reduce the amount of their responsibility this is when an insurance arbitration would take place. This disagreement about what your claim is worth may require a neutral party to resolve the issue and you may need to consult with a car accident attorney prior to moving forward. In the event that you and your car insurance company cannot come to an agreement on the settlement amount owed, your car insurance policy will commonly contain a dispute resolution clause allowing either party to request an out of court settlement process. Appraisal or arbitration, either combined or separate, are common tools of dispute resolution found in auto insurance policies. It is important that you understand what your insurance policy says about using appraisers or arbitrators to assist dispute resolution so you can prepare for either event. What is the auto insurance arbitration process? The two sides that have agreed to the arbitration will choose an arbitrator who will review the details of the dispute on hand and will make a decision on how it will be resolved. The arbitration process is more informal than a court proceeding as arbitrators do not follow codes of conduct or strict procedures like a court would. Both parties should favor the arbitration process because it helps resolve things much faster than a typical court proceeding. An arbitrator’s decision will have legal enforcement, so the decision of an arbitrator is binding on the parties. Remember: You should look to hire an attorney for this process as the insurance company will definitely have an attorney on their side at this point. 0 Comments on "Insurance Arbitration"